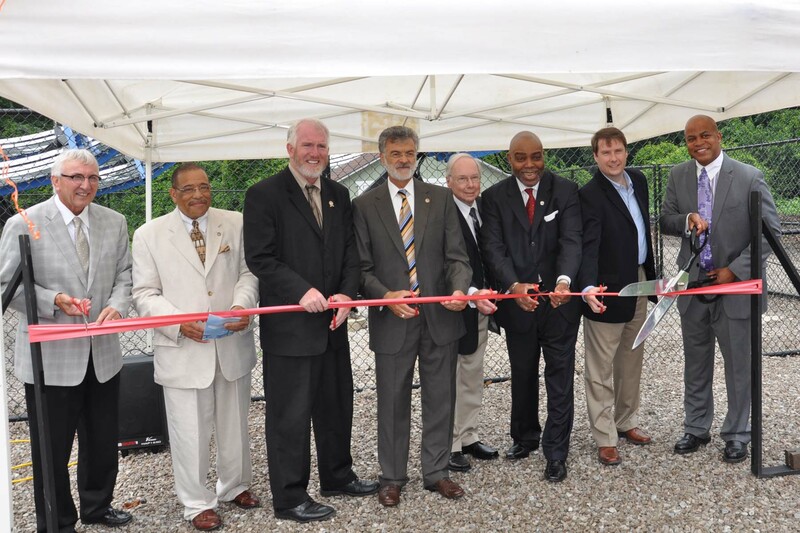 Today, Mayor Frank G. Jackson and Cleveland Public Power officials were joined by representatives from American Municipal Power (AMP) and GreenField Solar to cut the ribbon on the StarGen™ Solar Photovoltaic (PV) Concentrators at Cleveland’s Rockefeller Greenhouse. The Solar PV Concentrator project is a collaborative effort between CPP, AMP, GreenField Solar and the City of Cleveland Rockefeller Greenhouse to provide an alternative energy approach which utilizes one of our greatest natural resources, the sun. The concentrators produce both electricity and thermal energy. The thermal energy will be piped into the Rockefeller Greenhouse to provide heating while the electricity will go back to the electric grid. The ribbon-cutting marked another step in CPP’s efforts to meet Mayor Jackson’s goal for the utility to have 15 percent of its energy produced from advanced and renewable energy sources by 2015. The Solar PV Concentrators are solar powered PV electric generators that track the sun to focus its light onto high performance solar cells, which then convert the sun’s energy to electricity through compact PV cells. One of the key partners in this project was AMP the non-profit, wholesale electric supplier and services provider for municipal electric member communities. Cleveland Public Power is the organization’s largest member.